A bit of a departure from my usual blog entries but hopefully by the end it’ll make sense why it fits here. 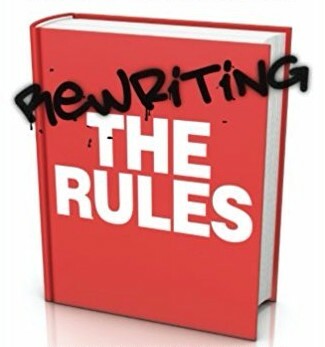 For more, check out the chapter on break-up in Rewriting the Rules. I need to write this to you out in public, for all to see: as a declaration, as an expression of gratitude, but most of all as an apology. Because it was in public that I spoke about our relationship before, when I said that it was over, that we were never right, that we worked so much better apart. I cringe now when I read those words although you generously seemed unbothered by them at the time and express no concern about them now. Now that we’re back together it just feels so different. I’m realising how, even when we were together before, I only ever saw you from a distance. I never got to experience you close up. I’m only just beginning to know you. Back then all I used to notice was how tired and irritable you made me. How, by the end, I didn’t really like myself when I was around you. But maybe that was always my problem and not yours. Because now we take it so slow and gentle together, finding the pockets of peace that never seemed possible before. The same hours that used to feel so squeezed and tight now feels spread out and spacious, like we have all the time that we need. I realise now that the five years we had was never long enough to really know you, or anyone come to that. I thought it was such a vast expanse of time but it was hardly enough to scratch the surface. I misjudged you. I only saw one side of you: forcing you to fit my image of what you were instead of allowing you to unfold in your own way. And I’m humbled by the way you welcomed me back, despite all that had gone before. Even when I’d been distant for so long you were there to pick me up when I needed it, just like you’ve always been, ever since my first breakup all those years ago. And during those first tentative weeks and months when we found our relationship deepening again I noticed that the more time I spent with you, the more my stride widened in confidence, my arms hanging a little looser by my sides, as I sensed a tightness lifting, an uncoiling of tension, the feeling of freedom that I only get with you. I can hardly describe the pleasure I feel now in joining the dots all over you, feeling you open up to me, and finding the secret places that you never revealed before – or maybe I just never thought to look. This territory I thought I knew so intimately when really I’d barely made a start. Today I am giddy with it. I wanted to let everybody know what you mean to me, to shout it from the rooftops so they’d know, to etch it on my skin so that I’ll never forget again. So I entered one of those shops where I’d never normally venture, for shame, and bought this declaration of my love. I know it won’t mean much to you, but it felt important to me. Meg, that was lovely. I was actually on the verge of tears! 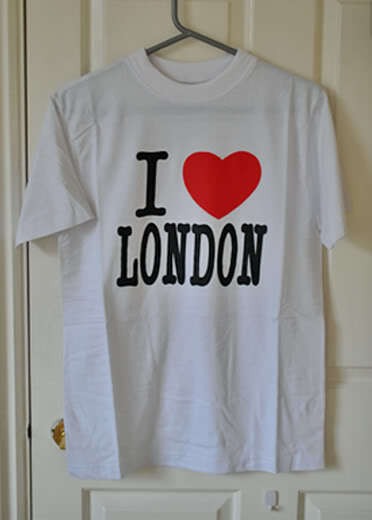 I love London and I’m very glad you do too. We share a love! So many dots to join though, I’m sure there’s room for us all!